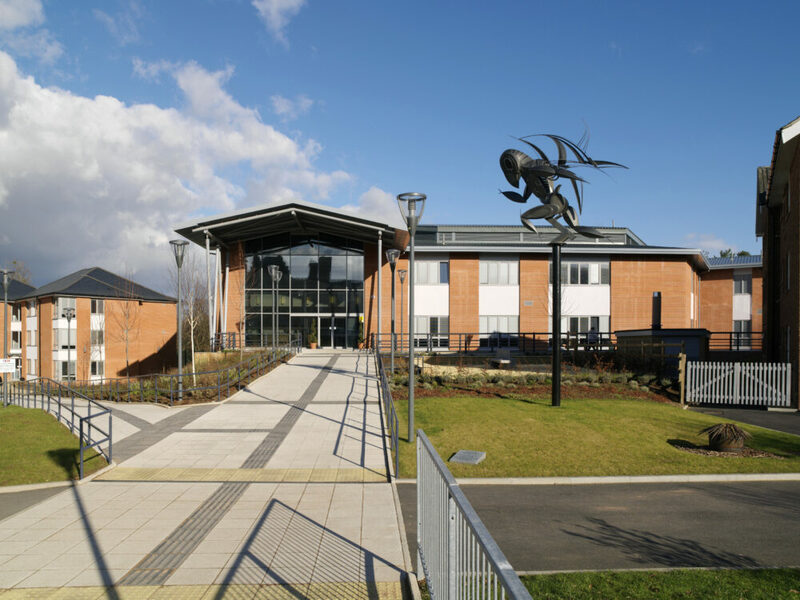 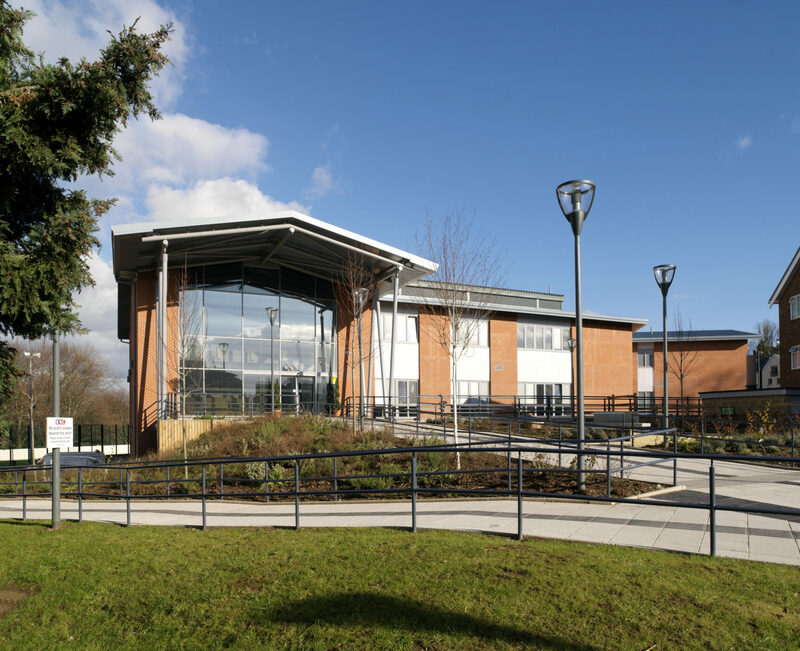 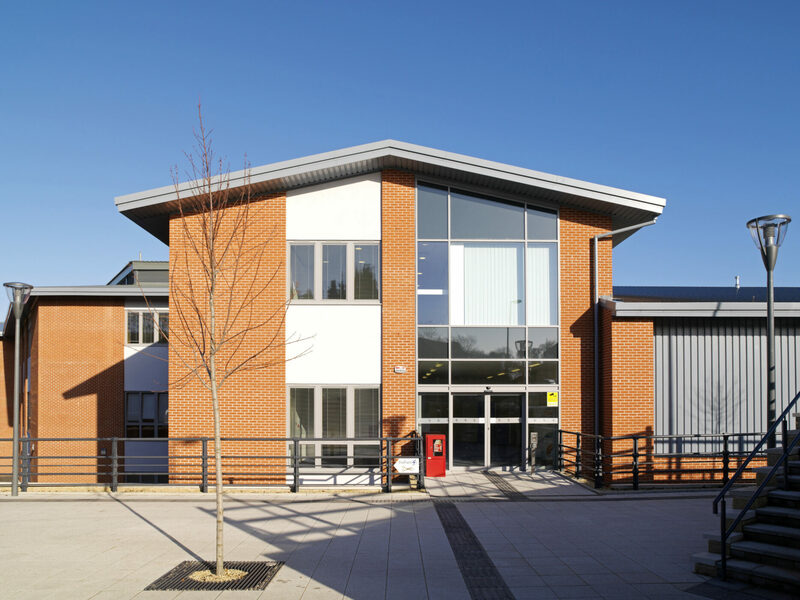 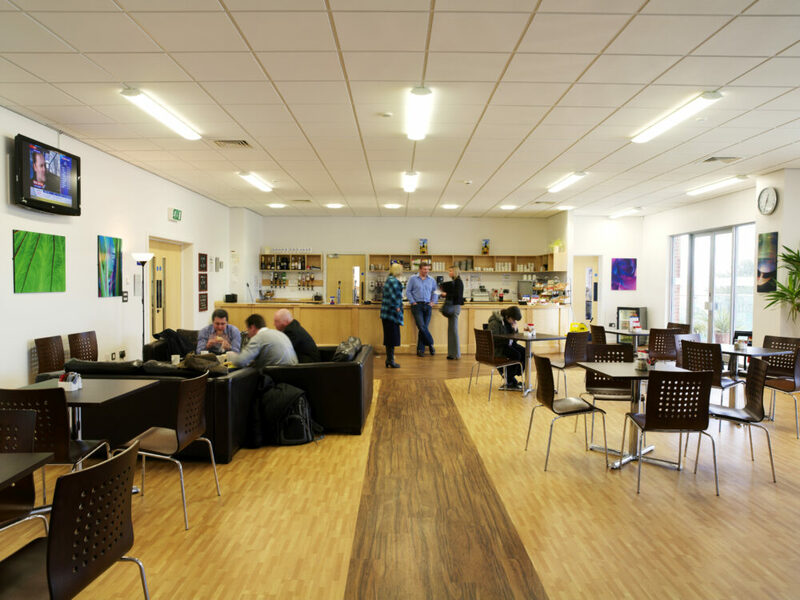 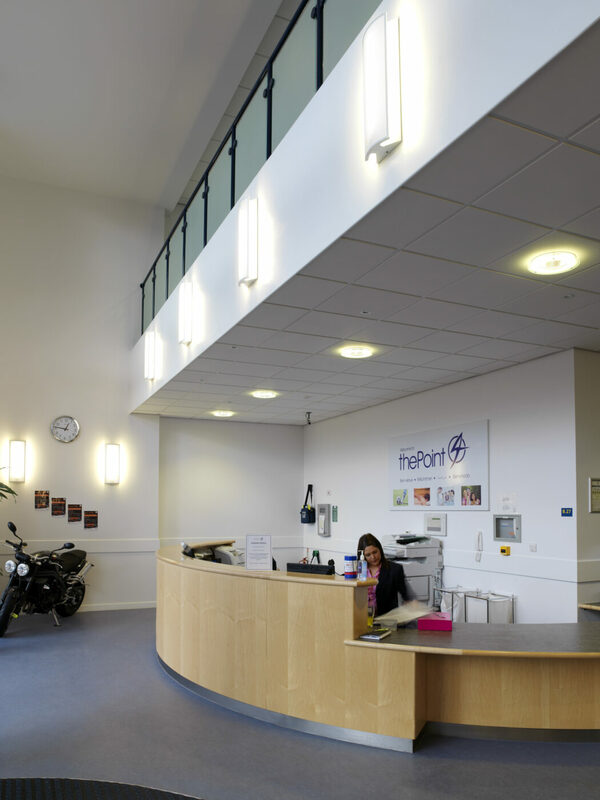 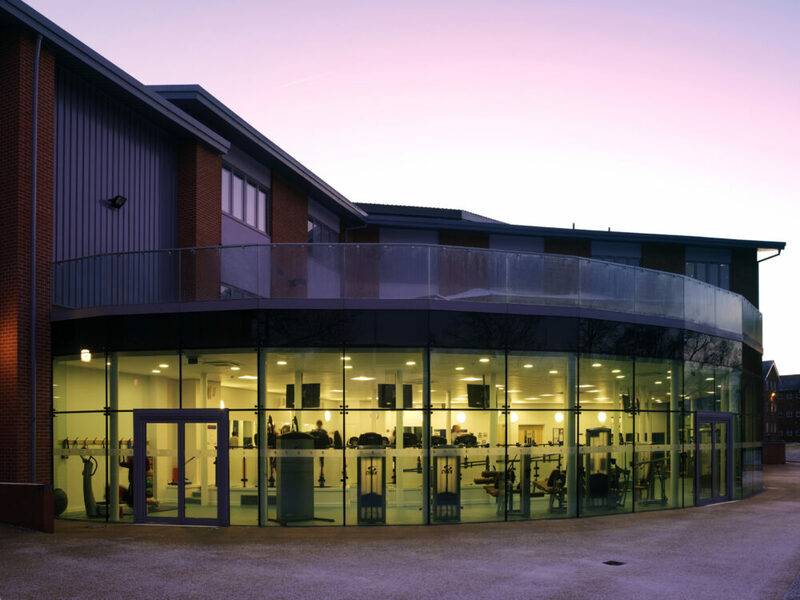 The Sports and Complementary Centre contains a new sports hall, gym, complementary therapy centre, teaching rooms, hydrotherapy pool, café and conference facilities. 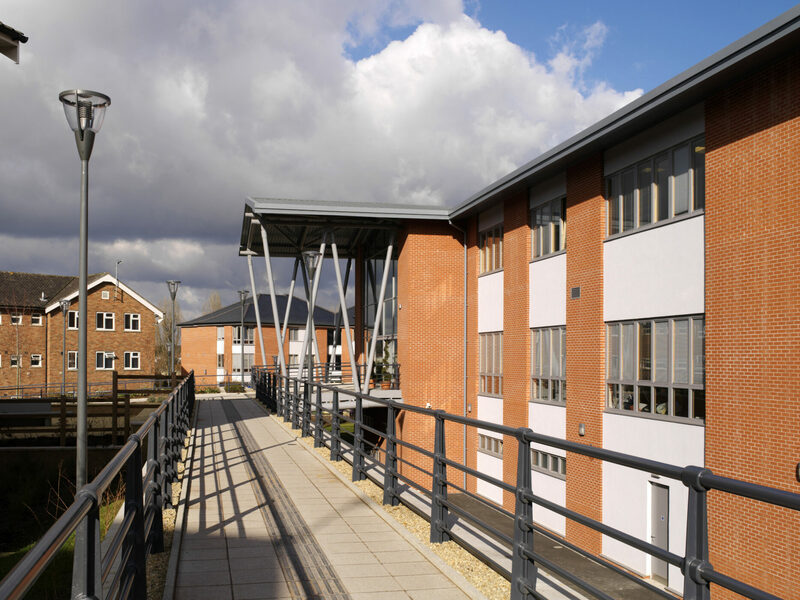 The Royal National College for the Blind is the UK’s leading college of further education for people with sight loss. 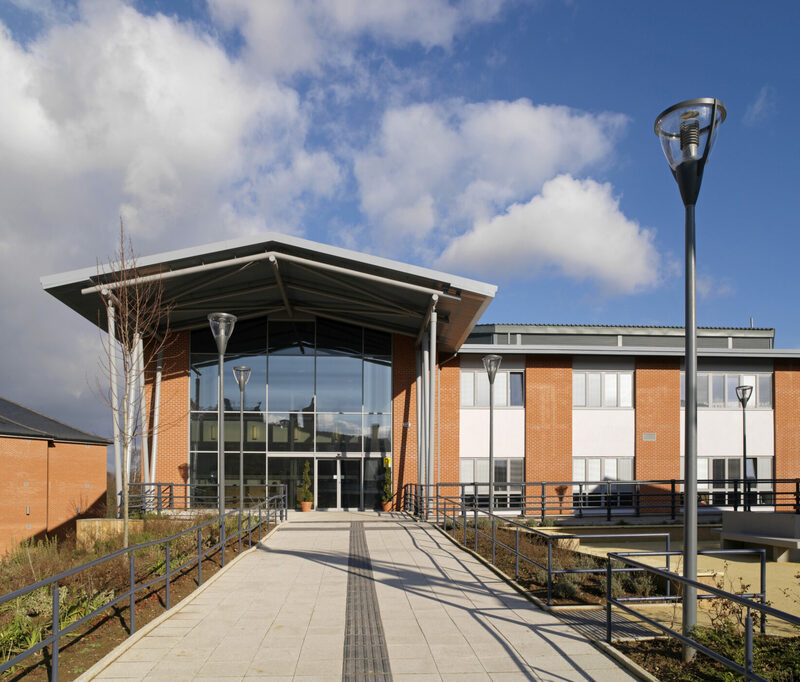 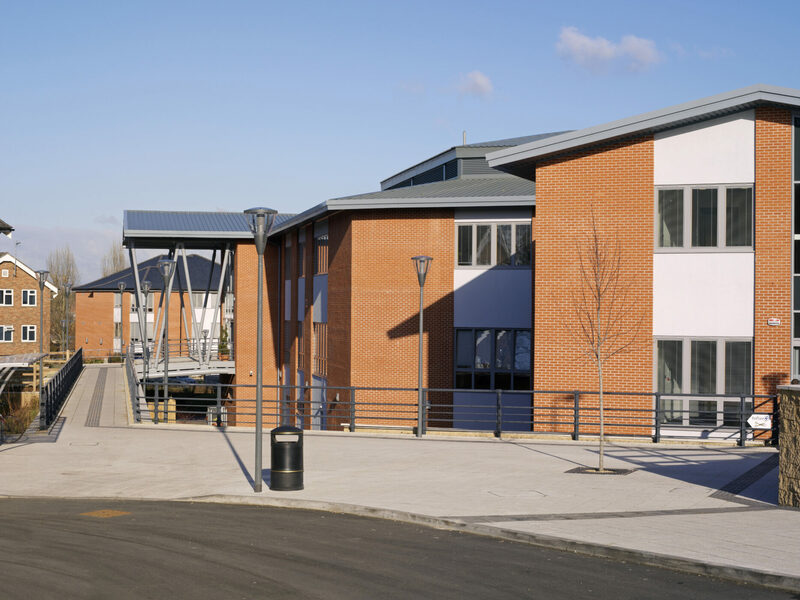 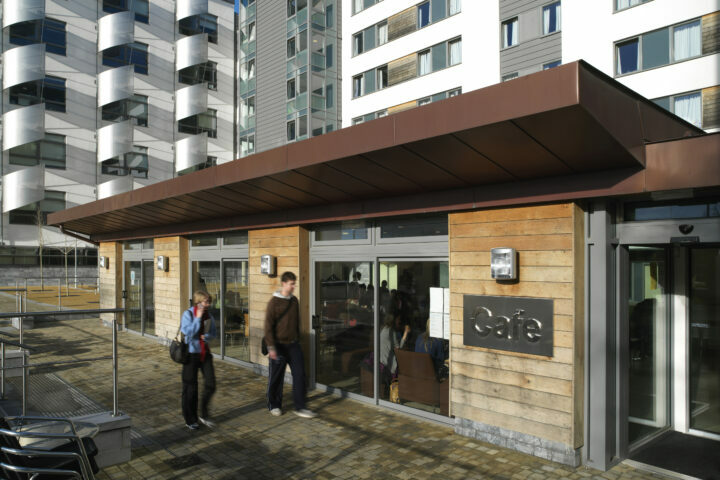 The masterplanning process identified the need for a complementary therapy centre, sports building, teaching space and associated accommodation. 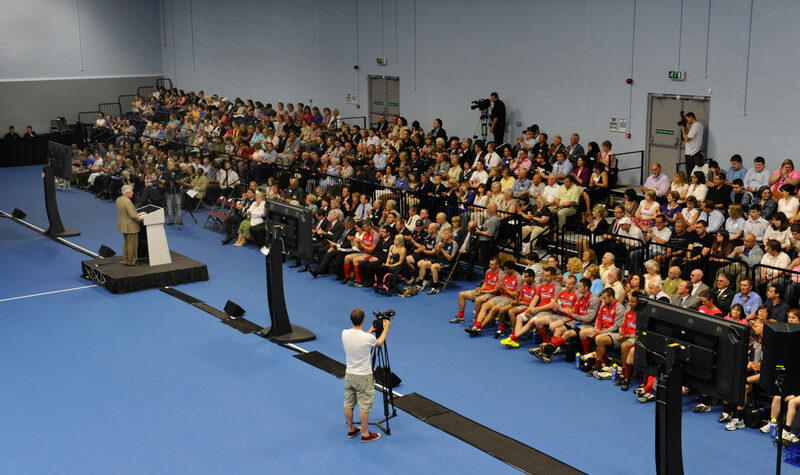 We developed the client brief with the stakeholders, including a number of workshops with students and athletes. 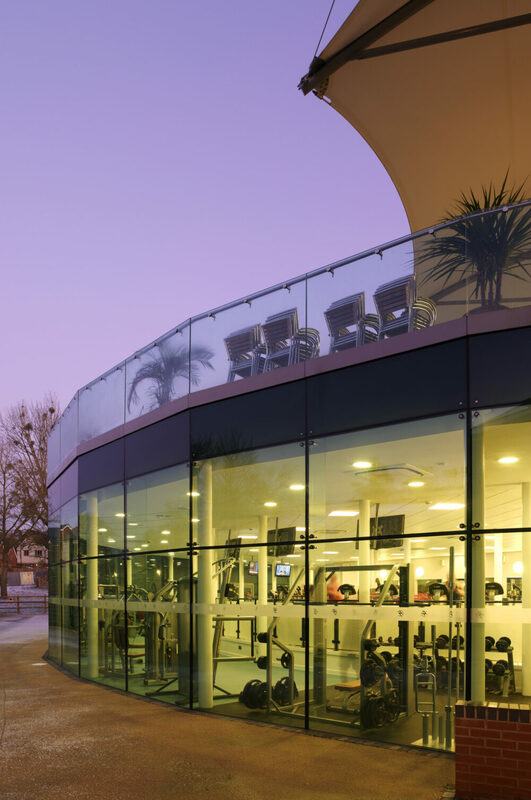 The scheme includes a number of subtle way-finding and tactile indicators for visually impaired users. 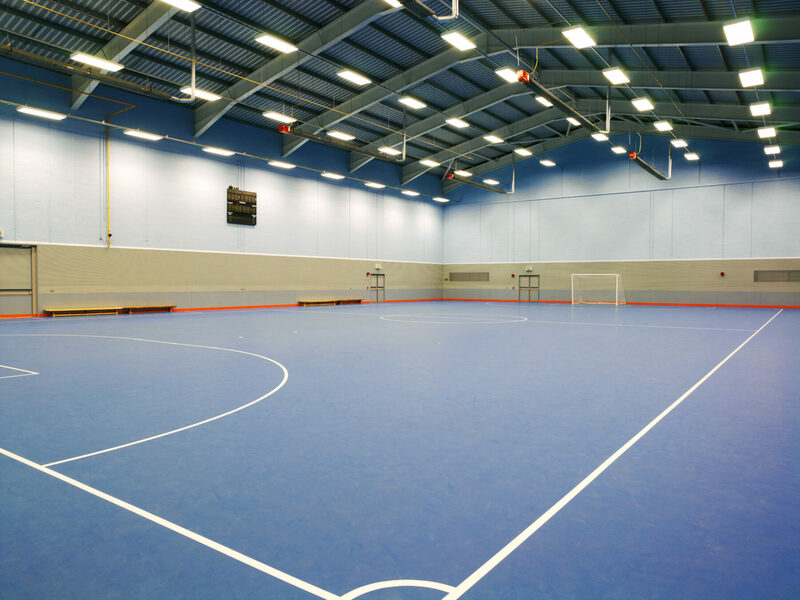 The design of the sports hall includes a unique acoustic treatment to mimic playing on an outdoor pitch – essential for Blind Football. 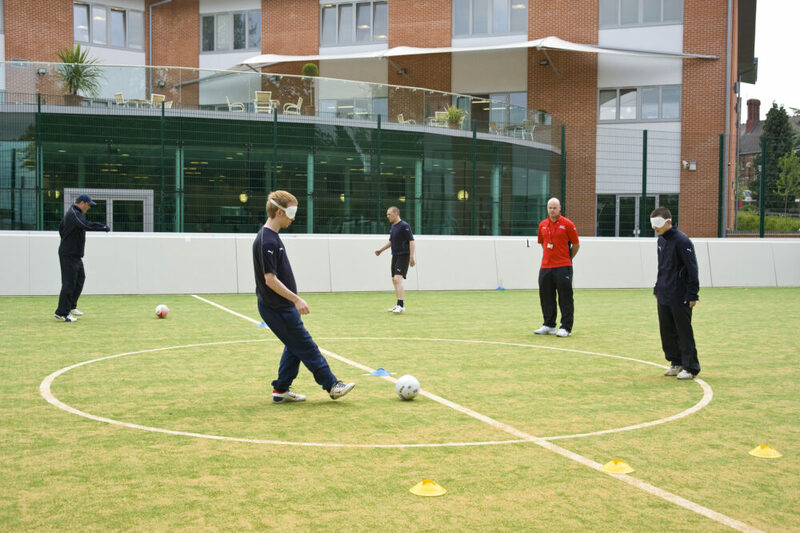 The centre is the home of the English Blind Football Squad and hosted the 2010 World Blind Football Championships. 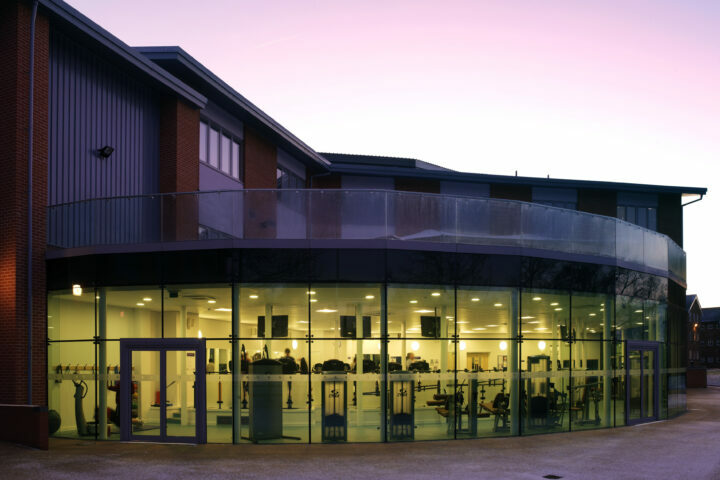 The centre was also a training centre for the 2012 Paralympics.